Edinburgh, Leith, 36 The Shore. 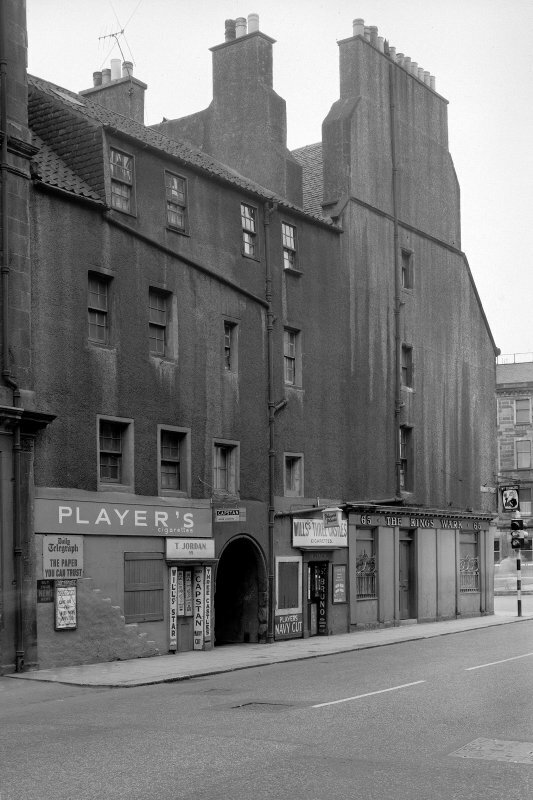 General view of the corner leading to 59-65 Bernard Street, from North. Edinburgh, Leith, 36, 37, 38 The Shore. General view North East showing 'The Kings Wark', wine and spirit merchants. 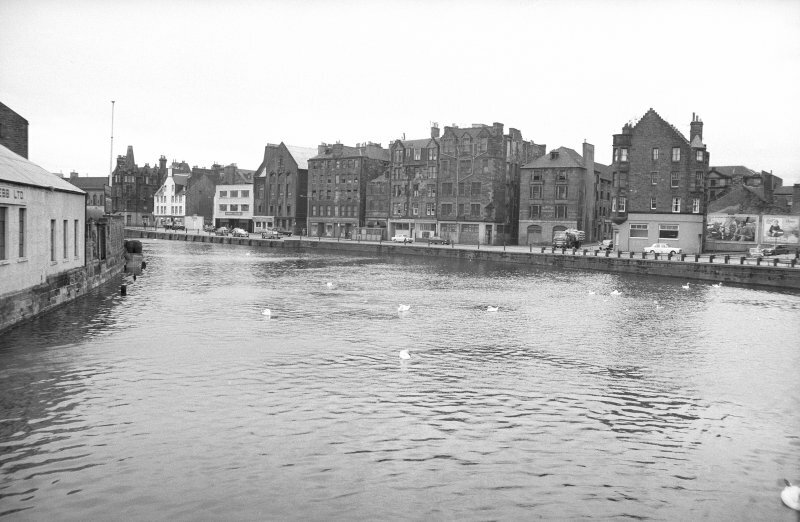 Edinburgh, Leith, 36-38 The Shore. View of lettering at no. 36. Edinburgh, Leith, 36 The Shore. General view from North-West. 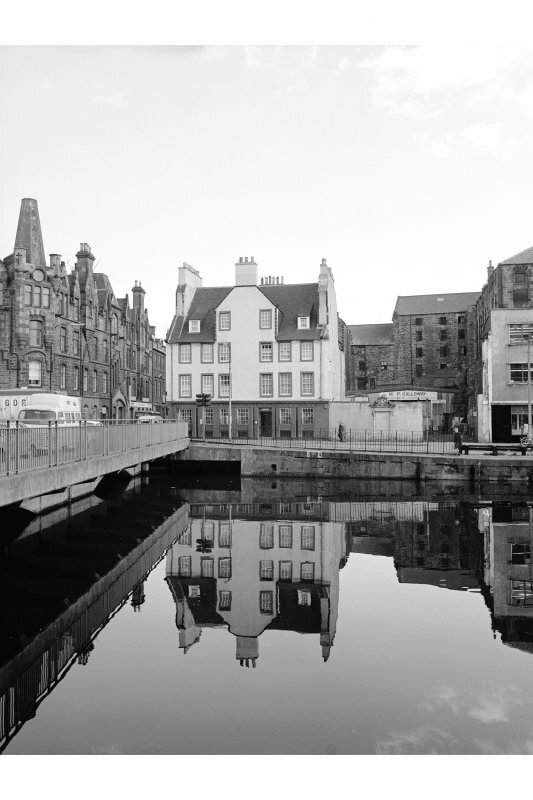 Edinburgh, Leith, 36, 37 and 38 The Shore. General view from West showing 'The Kings Wark', wine and spirit merchants. 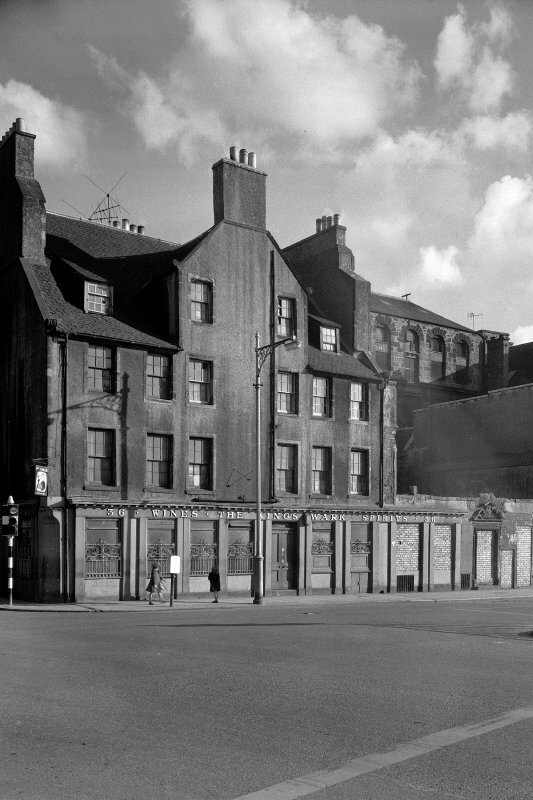 Two early 18th-century tenements side by side occupy part of the site of the 'King's Wark' (NT27NE 3). 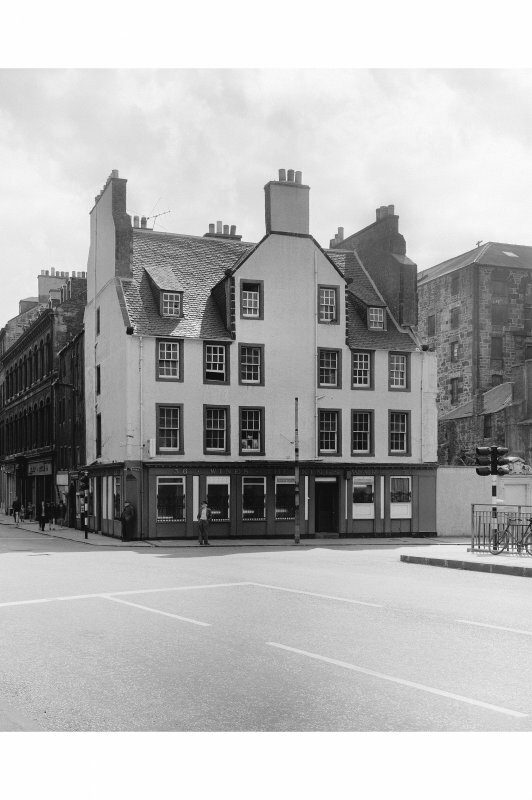 The northernmost, at the S angle of the junction of Bernard Street and The Shore, was restored by Robert Hurd and Partners 1972-8; its street floor is a public house. The other, 36-38 Shore, is dated 1711, with the initials IG and BM. 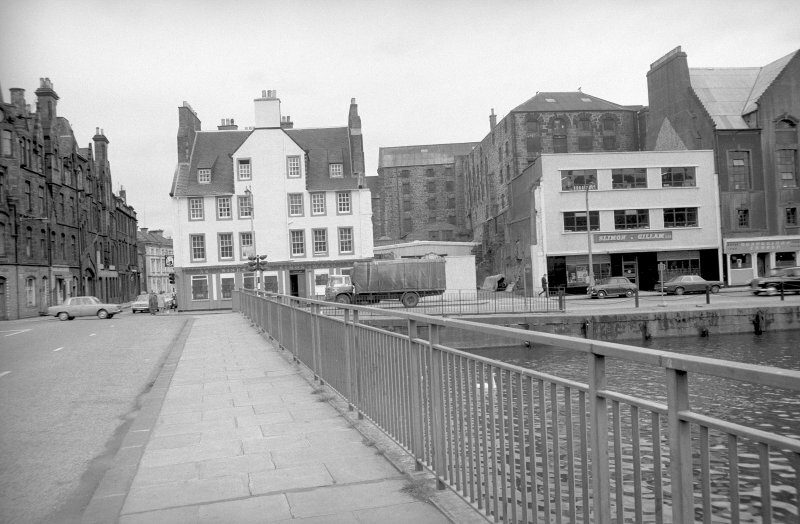 RCAHMS 1951; J Gifford, C McWilliam and D Walker 1984. 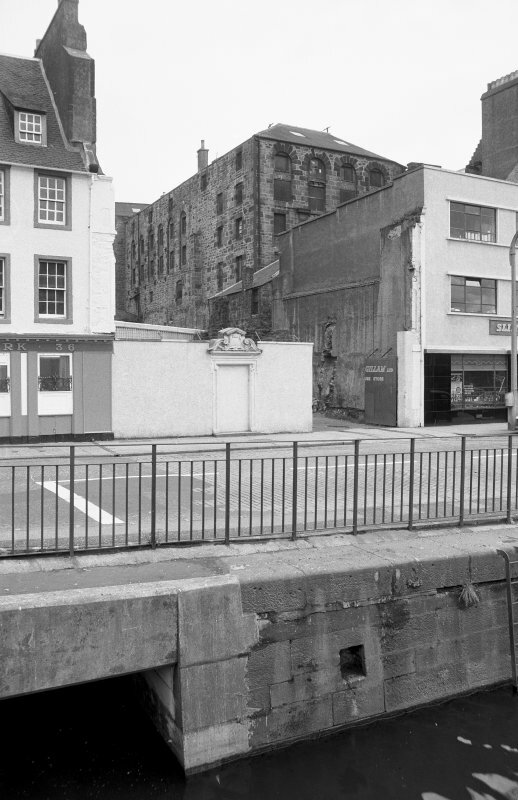 NT 2710 7651 An archaeological excavation was carried out in April 1998 prior to development of a gap site situated on the northern edge of the medieval port of South Leith and overlying part of the site for the late medieval royal complex, the King's Wark (constructed c 1433-65) (NT27NE 3). A post-medieval moulded stone doorway, decorated with the armorial device of the mid-16th-century Queen Regent Mary of Guise, was incorporated and reused within the present street frontage and will be retained within the new building. Four trenches were excavated across the footprint of the proposed development and revealed that the survival of stratified archaeological deposits was constrained by the presence of a complex series of late post-medieval (17th-18th century) cellars; as such the archaeological remains were restricted to the southern third of the site. The stratified sequence of deposits and walls revealed five main phases of occupation: pre-15th-century midden and beach deposits; construction of the King's Wark complex; late 15th-century land reclamation to the E of the King's Wark complex; probable late 16th-century reconstruction of southern range of the King's Wark known as 'The Vaults'; and 17th to 18th-century redevelopment. Of particular interest were the remains of a 15th-century sea wall or quay, running E-W across the S of the site. The position and date of the wall suggests that it relates to the King's Wark complex, although an earlier date of construction is also possible. 3 different prints of exterior views of the King's Wark. First mentioned in 1477, the King's Wark was designed to hold wine, grain and other provisions. 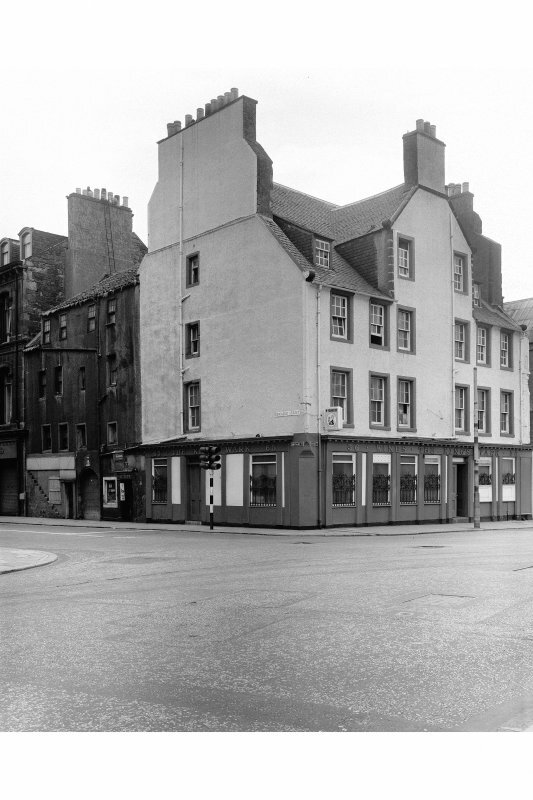 It was apparently a large block, a prominent object on Leith's shore occupying a place between Bernard Street and Broad Wynd. 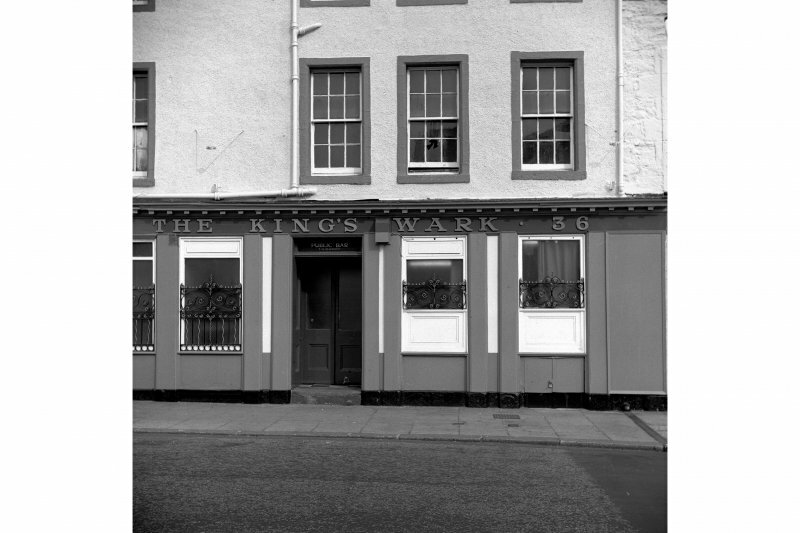 At NT 2711 7650 there is a public house called the King's Wark, but its external walls are harled making it impossible to determine whether any remains of the original building exist (Ordnance Survey Record Cards, Reference NT 27 NE 3). Information from ‘Historic Edinburgh, Canongate and Leith: The Archaeological Implications of Development’ (1981).